Clinic Synopsis: The clinic focuses on the ways to develop lyricism on percussion instruments. Tone production and the tools for expression on keyboards are compared and contrasted with other instrumental families to gain a deeper understanding of both the advantages and limitations of percussion instruments. Performance techniques in intermediate level keyboard music are discussed that can be easily adapted throughout the percussionists’ repertoire, turning an average performance into an artistic one. 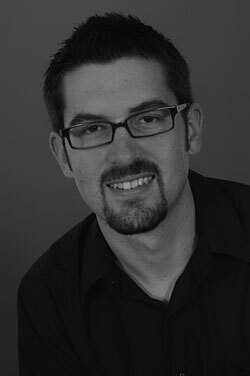 Clinician Biographical Information Peter Martin specializes in percussion chamber and solo repertoire. He is a member of the critically acclaimed ensemble Third Coast Percussion and is a percussionist with the contemporary music group, Dal Niente. He has been a featured artist at the Jeju Summer Music Festival of Korea, the Kennedy Center’s Millennium Stage, the Round Top Festival, the Soundfield Festival, and the Rush Hour Concert Series. Peter has also performed with the Pittsburgh New Music Ensemble, the Signal Ensemble, and the Grammy Award winning ensemble Eighth Blackbird. Currently an assistant professor and director of percussion studies at Virginia Commonwealth University in Richmond, VA. He taught at Northwestern University, Trinity International University, and the National High School Music Institute. Peter is an artist/endorser for Vic Firth and Pearl/Adams Musical Instruments.